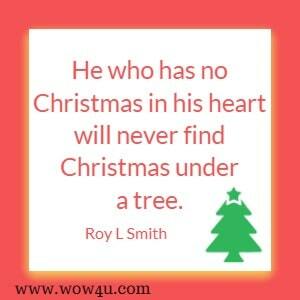 Enjoy these funny Christmas quotes, may they bring a smile to your face. Share them with others to bring a laugh during a very hectic time of the year! 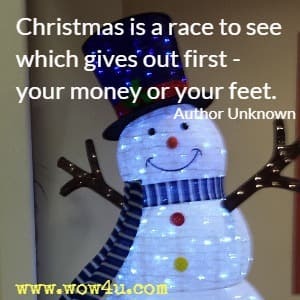 Christmas is a time of year we should feel peace and joy, but sometimes the business of the season causes us stress and the feeling of being overwhelmed, let these funny quotes give you a smile and a minute to relax. Do not listen to Mrs.Claus about the cookies. My cholesterol is fine. And I get plenty of exercise on Christmas Eve. 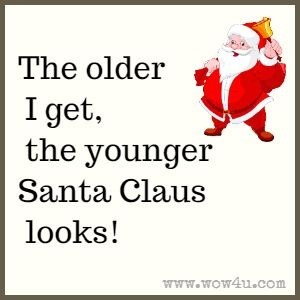 Santa Claus; Amy Newmark, Chicken Soup for the Soul: Merry Christmas!